Hiring is painful and difficult at the best of times. 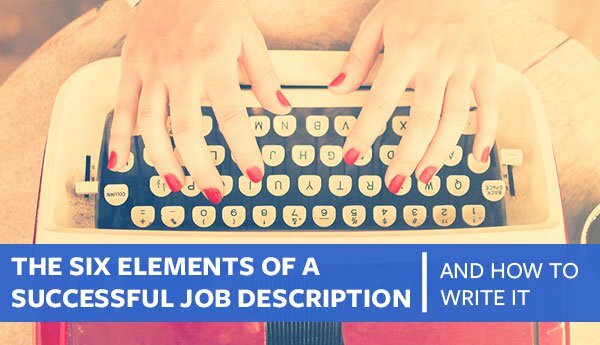 And writing a great job description can be a real challenge. 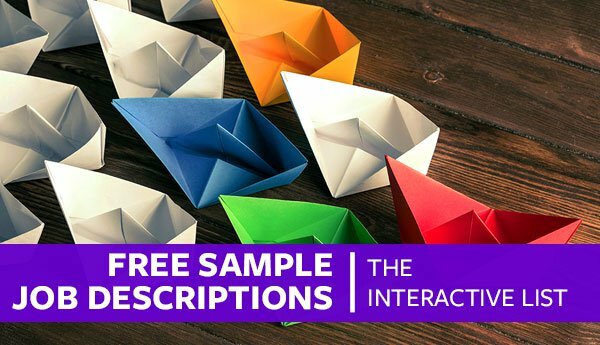 To solve this problem, we have created over 100 free job description templates to help you get started. Salary will vary based on experience the size of the accounting firm. According to the Robert Half Financing & Accounting 2014 Salary Guide, first year accountants make between $38,000 and $50,000 per year. A more experienced accountant will make up to $75,000 and the some will make over $100,000 per year. What are the educational requirements for an accountant? Accountants must have a bachelor’s degree in accounting or a similar field. You will also need obtain a certificate such as Certified Public Accountant (CPA). We are seeking a qualified accountant with a CPA certification, or the willingness to become CPA certified. You will primarily be responsible for analyzing reports, including balance sheets, income statements and tax returns. * You must be legal to work in the United States. How much does an accounts payable make? The median salary for an accounts payable specialist is $38,000. What are the educational requirements for an accounts payable? A lot of training for accounts payable clerks is on the job, so technically only a high school diploma is required, but many companies will require a college-level degree and proof for an aptitude in math. We are seeking a qualified accounts payable specialist. The ideal candidate must be organized and self-motivated, has a minimum of two years’ experience with accounts payable, accounts receivable and payroll, and possess a very high level of proficiency in Microsoft Excel and QuickBooks. 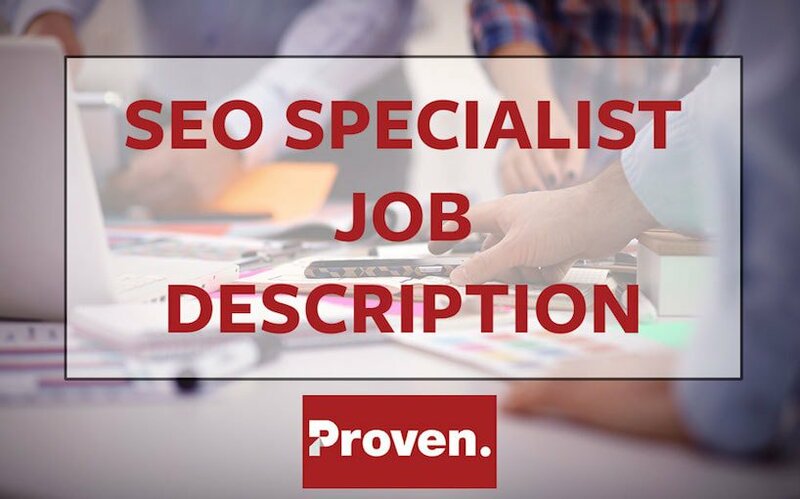 If you have a positive attitude, are good at multi-tasking, have the ability to handle confidential and sensitive information discretely, and can prioritize your daily workload, this job is for you. How much does an administrative assistant make? The average salary for an administrative assistant is $20, but pay will vary largely on experience. An executive assistant will make closer to $30 an hour. What are the educational requirements for an administrative assistant? A high school diploma will be required for most positions along with some basic office and word processing skills. For larger companies, a college-level degree may be required, especially at the executive assistant level. An administrative assistant provides support and assistance throughout many aspects of an office. The administrative assistant will field phone calls, receive and direct visitors to the office and perform additional administrative duties. This is a very important position in any office as the administrative solution is often the backbone to many operations. How much does a benefits coordinator make? The average entry-level benefits coordinator salary is $40,503. What are the educational requirements for a benefits coordinator? The become a benefits coordinator you will typically need an associate’s degree, diploma or bachelor’s degree in a field such as human resources, accounting, business administration, industrial relations, commerce or psychology. We are seeking an experienced benefits coordinator to oversee employee benefits and ensure that they are structured to increase employee retention, engagement and performance. The benefits coordinator will also need to ensure that benefits are properly administered. Good candidates will have previous experience in a benefits/compensation related role and a degree in human resources or a related field. How much does a billing representative make? According to the Bureau of Labor Statistics, the average salary for a billing representative is $15.46 per hour. What are the educational requirements for a billing representative? You will need a high school diploma or GED and most training is on the job. We are seeking a qualified and detail focused billing representative to handle incoming payments and to issue necessary paperwork. Collecting revenues is a critically important task and so good candidates should have previous experience in a similar role and good knowledge of the MS office suite. An undergraduate degree in a related field is a plus. The average yearly salary for a bookkeeper is $39,249. What are the educational requirements for a bookkeeper? There are certifications available by the American Institute of Professional Bookkeepers or the National Bookkeepers Association. You will at the very least need a high school diploma and basic understanding of accounting practices. We are seeking a qualified bookkeeper. The person for this position should be extremely well organized and detail oriented. If you are independent, intelligent, detail-oriented and have a great attitude, we’d like to talk to you. Answer phones, open mail, file, scan, organize, etc. How much does a branch manager make? The average yearly salary for a branch manager is $57,122. What are the educational requirements for a branch manager? You will need a bachelor’s degree in accounting, business administration, or finance. Further, usually at least 5 years of experience working in financial services is required. We are seeking a branch manager with a high level of accountability and the ability to oversee all operations of a company branch. The branch manager will be responsible for all operations of their specific division or office, including hiring employees, ensuring proper care of employees, meeting a company’s goals and objectives. Further, the manager will help approve loans and lines of credit. How much does a call center representative make? The average salary for a call center representative is $9.86 per hour. Many of these positions are commission-based, so there’s opportunities to make up to $14-15 per hour. What are the educational requirements for a call center representative? A high school diploma is required but more and more a college degree is also required, especially if you want to move up to a management role. Sometimes being able to communicate in multiple languages is also required. We are seeking a Call Center Representative to join our team! You will be in charge of answering any customer inquiries, resolving customer issues, and maintaining a customer database of information. How much does a claims examiner make? The average yearly salary for a claims examiner is $58,460. What are the educational requirements for a claims examiner? You will need a high school diploma to work as a claims examiner and a college degree is a plus. Much of the training will be on-the-job and you may need a license depending on the state. We are seeking a claims examiner. As the claims examiner, you will be responsible for timely claims processing, adjudication, and claim research. You will help maintain the inventory current through processing of regular claims and also help with claim research, when applicable. You will have the opportunity to participate in enhancing claim processing procedures, audits, and special projects. Being highly detail-oriented, accurate, and taking initiatives should be some of your primary strengths, along with your strong interpersonal and communication skills. How much does a customer service make? The median yearly salary for a customer service representative is $33,890. What are the educational requirements for a customer service? A high school diploma is a must and depending on the industry, a college degree may also be required. Seeking qualified customer service representative with a high customer focus and the ability to resolve problems in a timely manner. The perfect candidate is a super friendly professional who loves to work with people. How much does a data entry make? The average salary for a data entry specialist is $13.19 per hour. What are the educational requirements for a data entry? You will need a high school diploma and also have experience working with computers. Basic spreadsheet and word processing experience is a must. Much of the training will be on-the-job and specific to the company doing the hiring. We are seeking a data entry clerk with prior experience working with Excel. How much does an executive assistant make? According to the Bureau of Labor Statistics the average salary for an executive assistant is $23.13 per hour. What are the educational requirements for an executive assistant? Generally only a high school diploma is required along with basic word processing and computer skills. However, most executive assistants have prior experience working as an administrative assistant. An executive assistant will serve as the right hand to high-level executives in the company. The executive assistant takes on responsibilities beyond filing and organizational work. An executive assistant’s responsibilities vary according to whom they are assisting. They may be in charge of scheduling, booking travel, incoming and outgoing communication and other tasks as needed. How much does a legal secretary make? According to the Bureau of Labor Statistics the average salary for a legal secretary is $42,460, but this can vary greatly depending on the firm and state. What are the educational requirements for a legal secretary? A high school diploma along with computer and grammar skills are a must. Also, you may need some law and business training from college. We are looking for a stellar Legal Secretary for our law firm. The ideal candidate will be detail oriented, organized, and have strong multi-tasking skills. A successful legal secretary will be comfortable working in a fast paced environment and have strong work ethics. How much does a mailroom clerk make? The average salary for a mailroom clerk is $12.93 per hour. What are the educational requirements for a mailroom clerk? This is an entry-level position. A high school diploma or GED is required but most training is on-the-job. We are seeking a mailroom clerk to handle the collection, distribution and dispatching of mail in a confidential and efficient manner. How much does a mortgage processor make? A mortgage processor earns a salaried wage, with most earning between $27,000 and $45,000. What are the educational requirements for a mortgage processor? A bachelor’s degree is required to become a mortgage processor. In addition a professional license will be required to practice. Licenses vary state by state. With a proven record of success, a mortgage processor will be promoted to advanced positions. We are seeking a motivated mortgage loan processor. We are looking for a strong team player who is seeking growth and has a results-oriented attitude. He or she will be able to interact with all levels of staff and should be able to prioritize workload while meeting deadlines. An office manager may be paid hourly or earn a salary, depending on the office. The median income of an office manager is $37 an hour, but these rates can vary greatly depending on geographical location. What are the educational requirements for an office manager? The office manager position is typically an entry-level position. Most places will require a GED or equivalent education. An office manager is the backbone of an office’s operation. They maintain all systems and procedures in the office and supervise the time. An ideal office manager ensures the efficiency and productivity of the office. How much does a personal assistant make? Personal assistants may be compensated hourly or earn a salary. According to the Bureau of Labor Statistics, a personal assistant earns a median income of $16.66 an hour of $34,660 on salary. What are the educational requirements for a personal assistant? Personal assistants are usually entry-level and require a GED. However, increasingly, a continued education is often required, as well. We are seeking a personal assistant who is good-natured, resourceful, and exceptionally well-organized. We are seeking an experienced project manager to manage and plan all aspects of a project ensuring that it is completed on time and on budget. Good candidates should have previous experience as a project manager, a degree in a related field (engineering, computer science, etc.) and be able to effectively communicate with and manage others. Seeking a qualified technical support engineer with extensive technical knowledge. How much does an assembler make? The average salary for an assembler will depend on your speciality and what you assembler. According to the Bureau of Labor Statistics, the average salary is $28,360 per year, but airplane assemblers make up to $44,820 per year. What are the educational requirements for an assembler? The requirements here will depend on the type of assembler you wish to become. If you wish to work in the aerospace or defense industry fields, you will need certification. In other fields, a high school diploma will be required, possibly some technical or vocational school education and experience. Seeking a skilled assembler to construct machines and structures from smaller components. Good candidates should have previous experience assembling and a strong attention to detail. The ability to consistently lift 60+ pounds is also important. How much does a construction supervisor make? Construction supervisors can make a very good living. According to the Bureau of Labor Statistics, the average yearly income is $83,860. What are the educational requirements for a construction supervisor? You will need a combination of work experience and education to move into a construction supervisory role. Most construction managers will have experience working as a contractor, carpenter, mason, or other construction-related field. You may also need a bachelor’s degree in construction science, architecture, construction engineering, or a similar field. A Construction Supervisor is responsible for the planning, organization and control of projects from inception to completion. In addition, a construction supervisor is responsible for hiring and supervising a staff of construction workers, completing quality inspections and reports, and making sure the project runs according to schedule. How much does an estimator make? The average yearly salary for a cost estimator is $64,340. What are the educational requirements for an estimator? To work as a cost estimator, you will need a bachelor’s degree in construction management, building science or another industry-related major. Certification is not strictly required, but does demonstrate your professional abilities. An Estimator plays a crucial role on a construction site. The Estimator controls costs by collecting data, studying it, and suggesting to implement changes where necessary. The estimator makes sure the project is staying within budget throughout all phases. How much does a foreman make? The average yearly salary for a construction foreman is $84,410. What are the educational requirements for a foreman? The educational requirements vary. At the very least, a high school diploma will be required but a degree in construction management is also an asset. Construction work experience will also be necessary. We are looking for a competent Construction Foreman to coordinate operations and oversee workers at construction sites. Construction project coordinators have an average yearly income of $92,700. What are the educational requirements for a project coordinator? Similar to becoming a construction manager or foreman, a project coordinator will need a combination of work experience and a degree in construction management or related field. A Project Coordinator on a construction site is responsible for making sure that projects are delivered within budget and on time. Project coordinators are constantly monitoring budget and pinpointing inefficiencies to fix. They are heavily involved with subcontractors on the site by assigning and communicating assignments and deadlines. How much does a qa inspector make? The average salary for a QA inspector is $38,400 per year. What are the educational requirements for a qa inspector? You will need a high school diploma and typically at least 2 years experience working in construction. A degree in quality assurance, quality management, quality assurance technician, manufacturing management or a related field may be required. We are seeking an experienced quality assurance inspector to perform exploratory tests to catch defects and analyze overall product quality. How much does an armed security guard make? The average salary for an armed security guard is $30,000 per year, however this varies greatly on the region and type of company the security guard is working for. What are the educational requirements for an armed security guard? The requirements for becoming an armed security guard varies by state. All states require rigorous background checks as well as making sure you are qualified to carry a firearm. We are seeking a responsible armed security guard to patrol and monitor our facility. Good candidates will have previous experience as a security guard, will have flexible schedules (including nights and weekends) and will have a great attention to detail. How much does a bodyguard make? The average yearly salary for a bodyguard is $68,509, however the range can vary massively from $20,000 a year to well over $100,000. What are the educational requirements for a bodyguard? The educational requirements to become a bodyguard is less to do with formal education and instead requires training in defense, weaponry, and combat. You will need to be physically fit, have weapons knowledge and defense experience. Seeking an experienced bodyguard with previous experience to protect and assist their client. How much does a corporate security guard make? The median corporate security guard salary is $10.49 per hour. What are the educational requirements for a corporate security guard? High school diploma or GED. Post-secondary education is an asset. You will also need state registration and licensure for firearms. We are seeking a responsible and attentive corporate security guard. How much does an events security make? The average salary for an events security guard is $9.06 per hour. What are the educational requirements for an events security? You will need a high school diploma or GED. Further, you will need to have a firearms license and proper firearms safety training. Other training is usually on-the-job. Seeking experience event security personnel with knowledge of first aid and personnel defense. Events security personnel will be responsible for ensuring that an event runs smoothly and any unwanted people or events are removed. How much does a groundskeeper make? The average annual salary for a groundskeeper is $34,225. What are the educational requirements for a groundskeeper? Most training is on-the-job, but there are technical school programs related to landscaping and gardening that may be an asset or required. Seeking an experienced groundskeeper to be responsible for the upkeep and maintenance of all the outdoor and common areas of our facility. Good applicants should have previous experience in gardening, groundskeeping, general maintenance and communicating with co-workers. How much does a landscaper make? According to the Bureau of Labor Statistic, the average yearly salary for a landscaper is $30,400. What are the educational requirements for a landscaper? Most training takes place on-the-job, but a high school diploma or GED will likely be required. Experience or training from a technical school program on gardening or landscaping is an asset. Hiring a skilled landscaper with previous experience and a good work ethic. Must be able to lift 50+ pounds and communicate effectively with other coworkers. Perform various groundskeeping and building maintenance duties. Plant flowers, bushes, trees, etc. Install rock, cement, lighting, etc. How much does a property manager make? According to the Bureau of Labor Statistics the average yearly salary for a property manager is $51,480. What are the educational requirements for a property manager? You will need a high school diploma and for many positions, you will also need a bachelor’s degree or technical school certificate in real estate, business administration or similar field. Seeking an experienced property management to oversee the financial and operational management of our properties. Good candidates will have previous experience and be focused on increasing operational performance to increase profits and lessee satisfaction. How much does a security officer make? The average salary for a security officer is $10.49 per hour. What are the educational requirements for a security officer? Typically the only educational requirement is a high school diploma or GED. Many community colleges offer classes in criminal justice, legal studies, homeland security and public safety, which can be an asset. Looking for an experienced and attentive security officer to monitor our facility. A good candidate must have previous experience in a related position, have a high level of observation and attention to detail. The office will also need to be flexible with work schedule and focused on keeping the facility problem free. How much does a security traffic officer make? The average salary for a security traffic officer $11.48 per hour. What are the educational requirements for a security traffic officer? Besides a high school diploma you will also need to pass a civil service exam and have knowledge of the local parking and traffic rules. Seeking an experienced and dependable security traffic officer. Good candidates must have flexible schedules and a good knowledge of traffic laws and regulations. How much does a case manager make? According to the Bureau of Labor Statistics the average salary for a case manager is $13.56 per hour. What are the educational requirements for a case manager? You will need a high school diploma and many places will also require an associate’s or bachelor’s degree in human services, gerontology, or social work. We are seeking a qualified case manager with previous experience. Our ideal candidate will have a passion for serving others, love challenges, be serious toward their work, self-motivated, and organized. They will able to handle difficult clients, make quick decisions and have effective liaison skills with client’s family, friends, and service professionals. How much does a clinical lab technician make? The average yearly salary for a clinical lab technician is $46,680. What are the educational requirements for a clinical lab technician? To become a clinical lab technician you will need an associate’s or bachelor’s degree in life science, biology or medical technology. Hiring a clinical laboratory technician. You will be responsible for examining bodily fluids and cell counts. You will provide information by conducting tests in toxicology, chemistry, hematology, immunology and microbiology labs. Further, the right candidate will be responsible for receiving results, typing, testing and recording inventories. According to the Bureau of Labor Statistics the average salary for a dental hygienist is $32.81 per hour. What are the educational requirements for a dental hygienist? To become a dental hygienist you will need an associate’s degree in dental hygiene. All states also require that you are licensed. We are seeking a team player to join our dental practice as a dental hygienist. You will work directly with the dentist to meet the oral health needs of patients. How much does a health educator make? The average salary for a health educator is $43,840 per year. What are the educational requirements for a health educator? To become a health educator you will need a bachelor’s degree in health education, public health education or health promotion. Seeking a qualified health education professional. The qualified candidate will help improve patient health outcomes by promoting healthy behaviors and supporting the recovery process. How much does a home aide make? According to the Bureau of Labor Statistics the average income for a home aide is $11.54 per hour, however this will vary based on the type of home aide. What are the educational requirements for a home aide? To become a home aide you will need at least a high school diploma. To become a nursing aide you will also need postsecondary certification from a community college or technical school as well as pass your state’s competency exams. A Home Aide is responsible for a variety of tasks, from simple companionship that may include light housekeeping, meal preparation, errands and transportation for senior citizens in need of a little assistance or those clients with dementia or Alzheimer’s. A home aide must be prepared for long shifts, fill-in work, on-call work and overnight shifts. For more complex cases, helps with bathing, incontinence issues, personal hygiene and transportation. Nursing, CNA, and CMT/ CMA students qualify! According to the Bureau of Labor Statistics the average salary for a medical assistant is $14.51 per hour. What are the educational requirements for a medical assistant? To become a medical assistant you will need a high school diploma or GED along with on-the-job training from a doctor. Alternatively, many colleges, universities, and technical schools offer medical assistant training programs. Busy medical practice seeks an experienced full time Medical Assistant. We are looking for an energetic, experienced assistant who is looking for a fast paced work environment. Physical requirements: cannot have limitations on standing, bending, lifting throughout an 8 hour work day. How much does a medical secretary make? The average yearly income for a medical secretary is $33,530. What are the educational requirements for a medical secretary? You will need a high school diploma or GED and many employers will require at least an associate’s degree. You will also need basic computer and word processing skills. We are seeking a qualified medical secretary. The right candidate will help support our physicians by taking care of scheduling appointments, taking care of referrals, billing patients, transcribing dictations, preparing and sending medical reports, gathering patient medical histories and much more. How much does a nutritionist make? According to the Bureau of Labor Statistics the average year salary for a nutritionist is $56,300. What are the educational requirements for a nutritionist? To become a nutritionist you need a bachelor’s degree in clinical nutrition, food service systems management, dietetics, foods and nutrition, or a related field. To become a registered dietitian your bachelor’s degree must be from an institution accredited by the Commission on Accreditation for Dietetics Education. Seeking a qualified and committed nutritionist. You will be provide nutrition therapy and coaching to patients in individual and group consultation settings and assess nutritional status via lab value interpretation, lifestyle, food, drug interactions and weight. According to the Bureau of Labor Statistics the average yearly salary for an occupational therapist is $72,320. What are the educational requirements for an occupational therapist? To become an occupational therapist you will need a master’s degree in occupational therapy and also obtain a license from the state you are working in. Seeking a qualified occupational therapist with a high level of compassion and patience. Primality responsibilities will be analyzing a patient’s condition, creating a personal treatment plan, with information on using adaptive technology, and performing exercises to help relieve pain and improve mobility. According to the Bureau of Labor Statistics the yearly income for a paramedic is $30,360. What are the educational requirements for a paramedic? To become a paramedic, besides a high school diploma and CPR certification you need to complete emergency medical technician (EMT) and Advanced EMT training. To drive the ambulance you will need further licensure. Seeking a qualified Paramedic / Emergency Medical Technician (EMT). We are looking for highly competent individuals with a strong ability to follow directions, learn quickly and provide superior customer service, while assisting in our growth and expansion. How much does a personal trainer make? The average salary for a personal trainer is $14.95 per hour. What are the educational requirements for a personal trainer? The path to becoming a personal trainer can vary. Most gyms will require a CPR certificate and high school diploma. Certificates for different types of training is also available and will likely be required depending on the type of gym you want to work at. Looking to hire a fitness professional with a passion for enhancing the lives of others. We are looking for another passionate, career-focused Personal Trainer / Fitness Coach to add to our team and to help us continue providing an awesome experience for our members. How much does a pharmaceutical sales representative make? The average base salary for a pharmaceutical sales rep is $91,746 per year while the fully loaded average yearly salary is $120,606. What are the educational requirements for a pharmaceutical sales representative? The requirements by employer may vary but most will require college degrees in business, marketing, biological sciences or a related field. Seeking a qualified pharmaceutical sales rep. with a high knowledge of marketing and medical innovations. You will be providing information to doctors about available company medications and increasing overall drug awareness. How much does a pharmacist make? According to the Bureau of Labor the average yearly salary for a pharmacist is $106,410. What are the educational requirements for a pharmacist? To become a pharmacist you will first need to obtain a bachelor’s degree in biology, physics, chemistry, mathematics, humanities, or social sciences. Following that, you will need to complete a Doctor of Pharmacy (Pharm.D.) degree. Looking to hire a retail pharmacists. Qualified applicant will be responsible for dispensing and controlling medicine. They will also advise customers on general healthcare. The average salary for a physical therapist is $36.69 per hour. To become a physical therapist you will need to obtain a bachelor’s degree followed by a Master or Doctor of Physical Therapy degree. We are seeking a qualified physical therapist with a high level of compassion and attention. You will be responsible for diagnosing and treating patients with health related conditions. You will provide care to a variety of patients, including the elderly, newborns, infants, teens and adults. We offer a compensation package, including competitive salary with profit sharing, performance based incentive pay, continuing education and time off, medical insurance, retirement savings plan, paid vacation and personal time off. How much does a physical therapist assistant make? A physical therapist assistant earns a median of $18.10 an hour or $37,000 a year. What are the educational requirements for a physical therapist assistant? The average physical therapist assistant can obtain further schooling to become a physical therapist. Seeking a qualified physical therapist assistant with a high level of compassion and attention. As a physical therapist assistant, you will directly contribute to a physical therapist’s effectiveness to correctly and efficiently treat patients. We are looking for a physical therapist assistant who is energetic, creative, caring, fun, and self-motivated, and inspires a high level of confidence in patients. How much does a radiologic technician make? What are the educational requirements for a radiologic technician? Radiologic technicians are increasingly in demand, with a large projected growth. We are seeking a qualified radiologic technician. You must be able to carefully follow a care plan and physically maneuver/lift a patient. A Registered Nurse earns a median salary of $64,690 but this varies greatly by geographical location. What are the educational requirements for a registered nurse? Registered Nurses are required to have a Bachelor’s Science in Nursing and to have graduated from an accredited nursing program. A Registered Nurse works collaboratively with physicians to diagnose and promote a patient’s health. Along with care for the patient, a Registered Nurse will often provide support for the families of patients. How much does a social worker make? A Social Worker earns a median salary of $52,702. Social Workers’ requirements can depend on the field they work in, whether it be family, child, hospice or geriatric. Seeking a qualified and experienced social worker with a high level of compassion and client engagement. Qualified candidate will be responsible for case management, psycho-social assessment, development and implementation of intervention strategies. You will work with a variety of people, including children, families, addicts, the mentally ill, homeless, immigrants and those with disabilities. While supporting individuals through tough times, you must simultaneously ensure vulnerable people, including children and adults are protected against possible harm. Must be comfortable working in community settings. How much does a surgical technician make? A Surgical Technician earns a median salary of $44,420. What are the educational requirements for a surgical technician? A surgical technician is required to have an associate’s or certificate in surgical technology. Seeking a qualified surgical technician. The qualified candidate’s main duty is to help prepare the operating room by sterilizing and setting up the necessary equipment for the procedure. You will be responsible for assembling all equipment and make sure that it is all working correctly. You will also be responsible for positioning, transporting, disinfecting and shaving a patient prior to the procedure. During the procedure, you may supply and replace tools, assist with sponges or sutures, replace full suction containers and assist with moving the patient into recovery. How much does a surgical technologist make? A Surgical Technologist earns a median salary of $41,790 or $20.09 per hour. What are the educational requirements for a surgical technologist? Surgical Technologists can use their hands-on surgery room experience to decide how to advance their medical career. Looking to hire a surgical technologist. Qualified candidates will ensure proper care and maintenance of all surgical instrumentation and equipment while maintaining the sterile field. Demonstrate good knowledge of principles and practices of aseptic technique and infection control. Demonstrate knowledge of all equipment, instruments, procedures and supplies utilized in the operating room. Handles surgical specimens and bio-hazardous material according to policy and procedures. How much does an accounts receivable make? An Accounts Receivable Clerk in a hotel earns a median salary of $45,000. What are the educational requirements for an accounts receivable? An Accounts Receivable Clerk can move on to financial director positions. We are seeking Accounts Payable Clerk to join our team! Pay all bills promptly and accurately after verifying that they have all the proper supporting documents. Ensure that the bills are accurate as to items, price, and extensions and also that they have been approved by management. How much does an event coordinator make? An Event Coordinator earns a median income of $45,260. What are the educational requirements for an event coordinator? An Event Coordinator may go on to coordination roles at large companies and corporations. Seeking a skilled events coordinator to organize all aspects of our events from picking a venue to the day of logistics. Good candidates should be able to multi-task and communicate effectively. Candidates must also be flexible and be able to manage groups of people to ensure an event runs smoothly. How much does a front desk supervisor make? The average salary for a Front Desk Supervisor is $21,106. What are the educational requirements for a front desk supervisor? A Front Desk Supervisor may go on to seek management positions within a hotel. The Front Desk Agent acts as the face of the hotel and represents the hotel to the guest throughout all stages of the guest’s stay. They provide the guests with the first impression of a hotel as well as the final goodbye upon departure. Front Desk Agent’s have responsibilities that range from checking the guests in/out, reporting any problems/needs to maintenance, making reservations and collecting payment. How much does a guest relations manager make? A Guest Relations Manager earns a median salary of $35,339. What are the educational requirements for a guest relations manager? A Guest Relations Manager is often an entry-level position requiring a GED or equivalent. A Guest Relations Manager may go on to pursue management roles. Seeking a guest relations manager to communicate with clients to ensure their satisfaction with their visit. Good candidates should have previous experience and be able to effectively communicate with co-workers and guests to solve problems. Conversational knowledge of additional languages is a plus. Provide fantastic customer service to guests, ensuring that their needs are served. How much does a housekeeper make? The average hourly wage for a hotel housekeeper is $9.76. What are the educational requirements for a housekeeper? 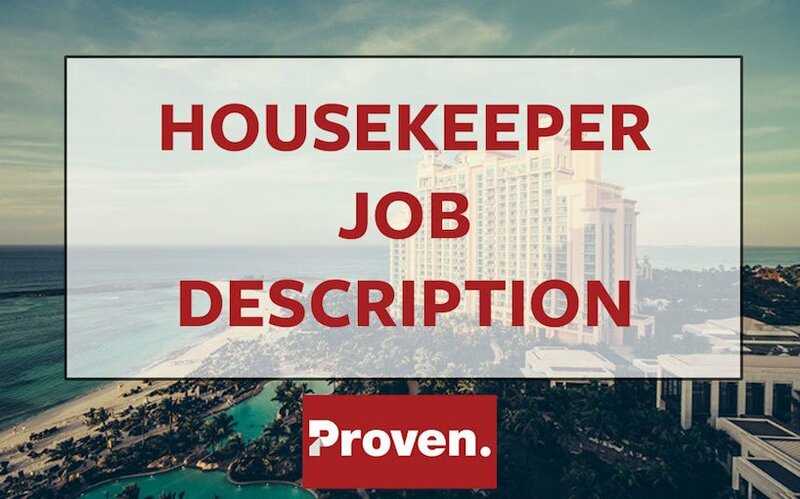 A Housekeeper could earn a promotion to be a supervisor. From there, a housekeeper can choose to start his/her own cleaning business. We are seeking a qualified housekeeper. The housekeeper ensures the cleanliness of guest rooms, lounges, lobbies, bathrooms and hallways. They provide superlative service to hotel guests and co-workers in performing all housekeeping duties. How much does a laundry attendant make? The average salary for a laundry attendant is $18,280. What are the educational requirements for a laundry attendant? A Laundry Attendant may advance into a supervisor role. Hiring a responsible laundry attendant to provide clean linens throughout the hotel and to clean guest’s personal items. How much does an operations manager make? The median salary for a Hotel Operations Manger is $46,830. What are the educational requirements for an operations manager? An Operations Manager will likely be required to have a degree in Hospitality. We are looking for an experienced and efficiency oriented operations manager to help manage and improve the performance, productivity, and profitability of our operation. Good candidates should have great communications skills and a strong attention to detail with an ability to relate how operational changes lead to increased profitability. A Hotel Sales Manager earns a median salary of $42,854. What are the educational requirements for a sales manager? A Sales Manager will be required to have a bachelor’s degree in business or a related field. We are seeking a responsible Sales Manager to represent the hotel by conducting conferences, making proposals and other external sales presentations in order to close hotel sales. Utilize discretion and authority to negotiate contracts and commit company with customers and establish agreements with vendors. Knowledge of the hotel facilities as well as the surrounding area, its attractions, etc. A Human Resources Assistant provides all administrative support for the HR Manager. The assistant usually aides in personnel management and other clerical duties when needed. Provides administrative support with email, making copies, and other clerical functions. How much does a human resources manager make? The median income for a Human Resources Manager is $99,720, but this salary has a very wide range. What are the educational requirements for a human resources manager? A Human Resources Manager will be required to have a bachelor’s in business or a related field. The Human Resources Manager take care of employee relations throughout the office. The HR Manager implements and monitors employees in relation to office policies and practices. How much does a recruiter make? A recruiter earns a median income of $61,136. What are the educational requirements for a recruiter? A Recruiter will be required to have earned a bachelor’s degree, but preference will be given to those who earned certification or a Master’s in Recruiting. A recruiter’s main objective is to attract and evaluate candidates for open positions. Recruiters coordinate with both the candidates and managers in order to find the right fit for the company and the position at hand. How much does a commercial truck driver make? The median salary for all truck drivers is around $40,000. Drivers working for big box companies like Walmart earn a median salaray of $73,000. What are the educational requirements for a commercial truck driver? A commercial truck driver will be required to have a CDL (commercial driver’s license). Seeking a qualified commercial truck driver, who is dependable and deadline oriented. Applicants must have a valid commercial truck driving license, with our specific cargo carry permits. How much does a courier make? A courier’s earnings can range according to the level of employment (freelance, contract or employee) and number of hours worked. The average pay for a courier is $13.08 an hour. What are the educational requirements for a courier? A courier is an entry level position, usually requiring the employee to have their own dependable mode of transportation. Seeking an experienced and responsible courier. Good candidates should have their own mode of transportation and have a flexible schedule. Candidates should also have previous experience working with customers. How much does a delivery driver make? A delivery driver earns a median wage of $10.95 an hour. What are the educational requirements for a delivery driver? A delivery driver may decide to acquire additional licensing and drive for a large corporation. Seeking an experienced and responsible delivery driver. Driver will need to efficiently deliver packages and represent the company through their interactions with customers. Driver also must own their own vehicle and have up to date insurance. How much does a forklift operator make? The median salary of a Forklift Operator is $31,530. What are the educational requirements for a forklift operator? A Forklift Operator may seek upward mobility within a warehouse or transition to operating heavy construction machinery. Seeking a skilled and responsible forklift operator for our warehouse. Good candidates should have similar previous experience with a clean safety record. How much does an inventory manager make? Inventory Managers working within a warehouse typically have a median salary of $22,560. However, a Scheduler earns a median of $70,800. What are the educational requirements for an inventory manager? Candidates for an Inventory Manager will likely be required to have a bachelor’s degree. In order to earn the title of Logistician or Scheduler, a candidate will be required to at least earn an associate’s degree in engineering or business. Seeking an experienced inventory manager who can properly analyze inventory, place orders and manage inventory as efficiently as possible to reduce costs. Good candidates should have previous experience in inventory management and be focused on improving the efficiency of our current inventory management process. How much does a janitor/cleaner make? A Janitor/Cleaner earns a median salary of $22,320, but this can vary depending on where a cleaner is employed. What are the educational requirements for a janitor/cleaner? As an entry-level position, there is usually no educational requirements. However, experience is usually required. Seeking a janitor to take care of our building by carrying out cleaning, maintenance and security practices. Candidate should have proven work experience and must speak english. Previous janitorial experience is a plus. How much does an order picker make? An Order Picker earns a median salary of $22,560. What are the educational requirements for an order picker? An Order Picker is an entry-level position, requiring a high school diploma or equivalent. An Order Picker may move up to become a supervisor or earn a managerial role within a warehouse. Seeking a responsible and efficient order picker to package customer orders quickly and accurately. How much does a shipping & receiving clerk make? The median annual salary for a Shipping & Receiving Clerk is $30,778. What are the educational requirements for a shipping & receiving clerk? A Shipping & Receiving Clerk may move on to shipping supervision roles and eventually to Warehouse Manager. We are seeking a responsible and detail oriented shipping/receiving clerk to receive, inspect and record shipments. Applicants must be able to lift heavy objects and perform basic math calculations quickly. They must also have good clerical skills and be able to accurately record received and shipped products. How much does a warehouse supervisor make? A Warehouse Supervisor earns a median salary of $46,591. What are the educational requirements for a warehouse supervisor? A Warehouse Supervisor can move on to other managerial roles, such as Operations Manager, Warehouse Manager, or Distribution Manager. We are looking for a warehouse supervisor to oversee the receiving, warehousing, and shipping operations. As a supervisor you will also be responsible for overseeing warehouse workers, ensuring that they perform their duties as efficiently and safely as possible. Good communication skills and knowledge of common warehousing best practices is a must. How much does a warehouse worker make? A Warehouse Worker earns a median salary of $27,079. What are the educational requirements for a warehouse worker? A Warehouse Worker will be required to have a high school diploma and the ability to lift heavy objects. Seeking a warehouse worker with good work ethic and a positive attitude. Applicants must be able to lift heavy objects and able to operate machinery while loading trucks. Strong attention to detail and good communication is a plus. A barback will typically make close to minimum wage, but there’s opportunities for tips. The tip out to the barbacks can be anywhere from 1-2% of sales or between 5-20% of tips. In a busy bar, this could add up to $100 a night from tips. What are the educational requirements for a barback? Post-secondary education is not required for this position. Most restaurants are willing to train someone on the job. Seeking a qualified experienced barback. Must be pleasant, conscientious and professional with good knowledge of alcoholic beverage selections and garnish techniques. Must be able to operate effectively as part of a team, communicate clearly, ensure smooth service operations and quality service. How much does a barista make? Average salary for a barista is $8.50 an hour, but this depends largely on the city and state. There’s also opportunities to earn tips at high-end coffee shops. What are the educational requirements for a barista? There’s no specific educational requirements to become a barista, but most places require at least a high school diploma or GED. Seeking baristas for dessert and beverage service. Experience working as a barista, bakery, retail or related experience preferred. Make specialty coffee drinks to order such as cappuccinos, lattes, mochas, etc. The average salary for a bartender is $9 an hour, but there is a large variety in total earning potential because of tips and the type of establishment you are bartending at. What are the educational requirements for a bartender? If you want to work at a high-end restaurant or bar as a bartender, you should attend bartending school or take a mixology course. Check out this bartender job description. Seeking a professional, creative and experienced bartender. Applicants need to be courteous, organized and able to multitask efficiently in a high volume environment. Professionals only. How much does a cocktail server make? The average salary for a cocktail server is $8.00 an hour. However, a typical cocktail server can earn between $100-200 a night in tips. What are the educational requirements for a cocktail server? There is no specific educational requirements for this position, however a high school diploma or GED is generally required. Hiring a personable cocktail server to provide guests with a great experience. Should be outgoing and willing to become an expert on cocktails. How much does a counter server make? The average salary is $8.50, although with tips, this works out to an average of $12 per hour. What are the educational requirements for a counter server? There is no specific educational requirements for this position, however a high school diploma or GED is usually required to move up to a supervisory role. 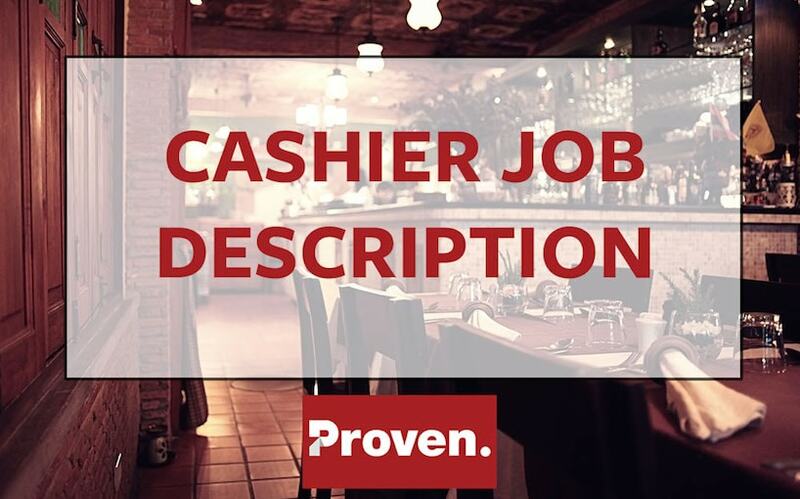 Hiring an outgoing cashier with a strong attention to detail. The cashier will interface with customers and ensure they both checkout in a timely manner and have a great experience in the process. How much does a dishwasher make? The average salary for dishwashers is $8.20 per hour or whatever the local minimum wage is. What are the educational requirements for a dishwasher? This job does not require any specific training or education. We are looking for a fast, dependable dishwasher to join our kitchen team. How much does an executive chef make? The national average salary is around $75,000 per year. What are the educational requirements for an executive chef? Most chefs will attend a two year culinary program and then work their way up the ranks of a kitchen: line cook, sous chef, and finally executive chef. Experience is very important and generally this will supersede formal education. Hiring an experienced executive chef with proven ability to produce high quality food in a fast paced environment. Must also be able to effectively manage kitchen staff and maintain a clean kitchen. How much does a food expeditor/runner make? According to the Bureau of Labor Statistics, the average 2010 hourly income for a food runner was $8.75. What are the educational requirements for a food expeditor/runner? In general, food runner jobs do not need college or even a high school diploma. Most jobs will train you on site. We are looking for a food expeditor/runner to quickly move food between the kitchen and tables while ensuring that guests are satisfied. Good candidates will have previous restaurant experience and be able to communicate effectively with coworkers and guests. Candidates should also be in good physical condition to keep up with the sometimes hectic pace. How much does a host make? As of 2012, the Bureau of Labor Statistics reports that hosts and hostesses working in the United States earned an average hourly wage of $9.41. What are the educational requirements for a host? Most restaurants require that you have at least a high school education but if you want to move into a supervisory role, a college diploma is recommended. We are looking for a friendly, personable and reliable host/hostess to join our team! This is a full-time position, including benefits, tips and great work perks! Maintain the flow of service throughout the dining room. The average salary for all line cooks is about $14 per hour, but experience is often a factor. What are the educational requirements for a line cook? Although possible to get this job without formal culinary training, more and more restaurants are require two and four year degrees. We are looking for a motivated line cook. Applicants need to have professional kitchen experience, including working a hot line and grill. Ability to follow written and oral instructions in English. According to the Bureau of Labor Statistics 2012, the average pastry chef salary is $22.39 per hour or $46,000 per year. What are the educational requirements for a pastry chef? Most pastry chefs will attend a two year culinary program that may also include internships in a kitchen. Experience is very important and generally this will supersede formal education. We have a unique opportunity for an experienced Pastry Chef to join our team. We are looking for an enthusiastic individual with the ability to work on a team. Must have knowledge of baking from scratch, assembling, decorating plated desserts, pastries, individual cakes, cookies, etc. The average restaurant manager salary is around $50,000. At high-end restaurants, this can be up to $75-80,000 per year. What are the educational requirements for a restaurant manager? There is usually no formal educational requirements for this position, however, many colleges now have four year bachelor programs in hospitality management. A lot of restaurant managers work their way up. Like many restaurant jobs, experience is very important. The manager will oversee and coordinate the planning, organizing, training, and leadership necessary to achieve stated objectives in sales, costs, employee retention, guest service and satisfaction, food quality, cleanliness, and sanitation. Maintains employee files with all necessary paperwork, government reporting requirements, and other documentation as required by state. The average salary for a restaurant server is $8.72 according to the 2010 Bureau of Labor Statistics. There is big earning potential with tips, which can be $100-200 a shift depending on the restaurant. What are the educational requirements for a server? This position does not require a high school diploma and most training is done on the job. We are looking for an enthusiastic person who has a successful proven track record in sales results. This person should also be able to provide a memorable guest experience. If you are a results-oriented sales person that thrives on achieving goals and providing world-class customer service, we would like to hear from you. Results, integrity and teamwork are important for success in this position. The average salary for a sous chef is around $45,000 per year. What are the educational requirements for a sous chef? Similar to executive chefs, sous chefs will often start out by attending a two year culinary program and then work their way up the ranks of a kitchen. Experience is very important and generally this will supersede formal education. We are looking for an experienced full service catering Sous Chef. 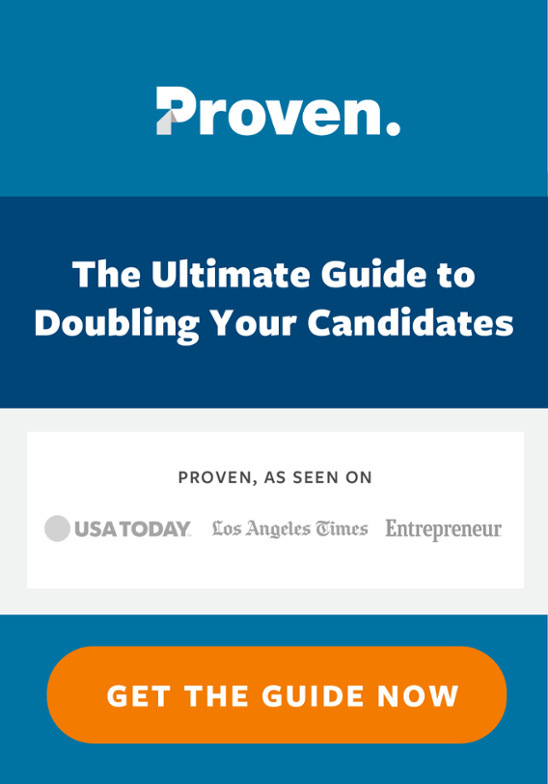 Candidates must be able to lead a small team, drive revenue, maximize productivity and motivate a team. We offer a competitive salary, health benefits, PTO, employee stock options, a lot of room to grow and a fun place to work. Most cashiers make the federal minimum wage, which is currently $7.25. What are the educational requirements for a cashier? Most businesses require a high school diploma or GED to work as a cashier, but no further education is required. Some business-related college work may be necessary to move into a managerial role. Seeking a qualified cashier with great customer service ability. A great cashier will not only provide a pleasant experience for a customer, but will also have the ability to cross-sell and recommend other items/services that may be of interest. How much does a retail buyer make? This depends a lot on the industry that you are buying for, but the median salary according to the Bureau of Labor Statistics is $28.06. What are the educational requirements for a retail buyer? The educational requirements will depend on the type of company you are buying for. Larger companies are likely to require a business-related college-level degree while others may provide on-the-job training. We are seeking a qualified retail buyer. The successful candidate will be responsible for selecting and curating goods for resale in a retail environment. Further, you must take into account customer demand, market trends and budgets when buying for a retail location. On average, retail sales associates make $9.50 an hour but can make up to $19 an hour with commissions depending on the industry. What are the educational requirements for a retail sales associate? Most companies will require at least a high school diploma or GED. If you want to eventually become a manager, you’ll likely need a college degree. Seeking a personable and responsible retail sales associate who will assist customers and help with store operations. Previous experience in a retail sales position and previous knowledge of our products and services are pluses. The average retail store manager salary is $44,000 per year. What are the educational requirements for a store manager? Most companies require some college-level degree to move into a management position. A business-related degree is the most common path. Looking for an experienced store manager to oversee the daily operations and management duties for our store. The store manager must be able to effectively communicate and motivate employees. The store manager should have the goal of improving the efficiency of operations, increasing revenue and reducing employee turnover. How much does a visual merchandiser make? The average salary for a merchandiser is $9.50, but will vary on industry and experience. What are the educational requirements for a visual merchandiser? This is an entry-level position where most companies will provide on-site training. Generally a high school diploma or GED will be required. We are seeking a visual merchandiser for our retail store whose responsibilities will be to improve visual layout with the goal of increasing sales and provide a better in-store experience. Applicants should have previous experience and be focused on how their actions can lead to sales growth. Produce window displays, signs, promotional displays, etc. Wow! That’s a lot of job descriptions! Sean Falconer is Founder and CTO of Proven. He is a proud Canadian and reformed academic. He is passionate about making hiring for small business simple, streamlined and frictionless.